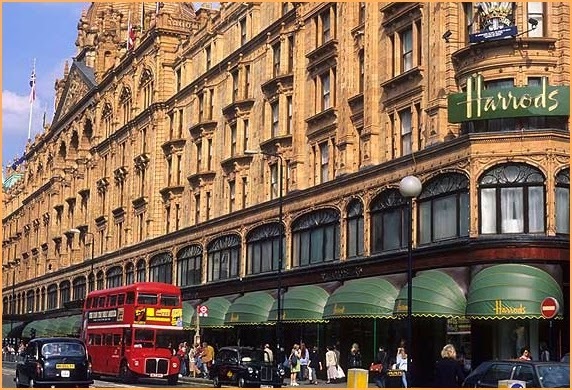 Here's a tale about the famous London store, Harrods, and a ghostly sales assistant. "Many years ago my wife and I had finished decorating our small flat in Greenwich, South London. The only item we were still searching for was a bedspread. One Saturday morning, we visited the Harrods bedding department. Right there as we walked in was the absolute perfect bedspread at a cost of £80. This was thirty years ago, so heaven knows what the cost would be today. A foreign sales assistant, possibly Italian, was so helpful in explaining what a lovely item it was, although she agreed 'it was a lot of money'. She suggested that we go and have a coffee upstairs and think about it, which we did. We made the decision to purchase the bedspread but the assistant was nowhere to be seen. As she had been so helpful, we decided to return to the store a little later to give the same assistant the sale, in case she had been on commission. On our return, there were two other sales assistants standing by the till in conversation. My wife and I asked them if 'the Italian sales lady was available'. We never said anything but we did purchase the bedspread. The bedspread is long gone now. However, before it was disposed of a small piece was cut from the end and framed as a reminder of what happened. I still have the item in my possession." It appears that she loved her job. This is the first story I've read about a person returning to haunt their workplace. Thanks for sharing. I must admit past workplaces wouldn't be my choice to re-visit. Oh yes, a better class of ghost at Harrods.